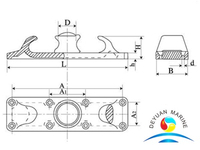 In DIN 81915 standard Bulwark Chock series, there are Type A and Type B , the drawing is also available if you are interested and send e-mail to us , due to there are many kinds of mooring pipes because of different shapes, standards, function,etc. 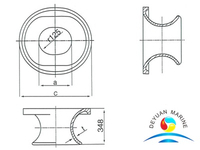 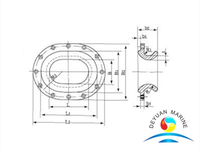 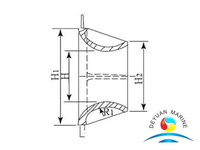 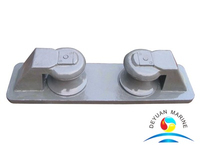 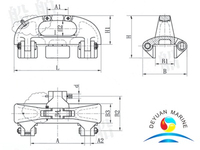 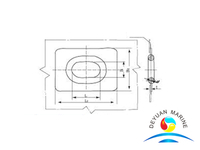 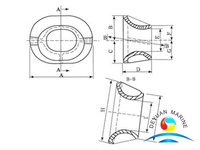 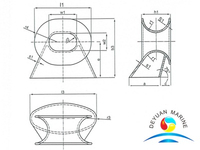 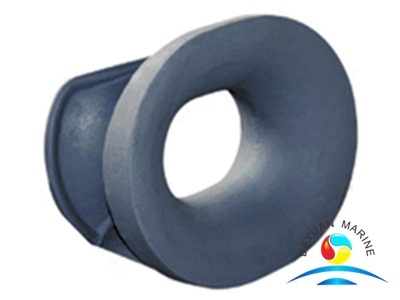 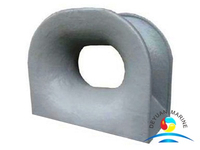 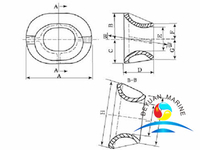 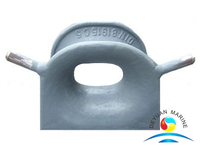 Whatever they are, Deyuan Marine can manufacture and trade for you ,we had delivered the mooring double bulwark chocks to Panama , Mexico , Philippines, Greece, Turkey, Zhoushan Shipyard,etc ,what you need to do is only to inform Deyuan Marine the SWL,Standard,Shape,position,function,and quantity etc . 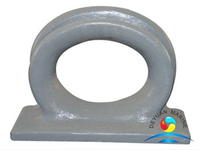 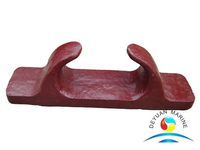 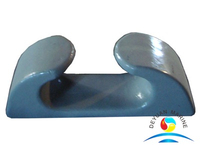 Marine Mounted Chock DIN 81915 is a popular type of Chocks, made of cast steel material, seat and bulwark are made by processing steel sheet , mooring bulwark mounted chocks is widely used for vessel,tug,cargo ship,military ship, industrial ships etc, usually it is installed at two sides of tankers for general mooring purposes , Deyuan Marine can manufactures chocks in different sizes and styles,also can customized the chock according to your drawing. 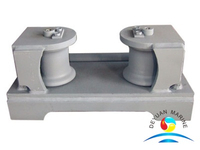 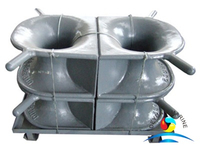 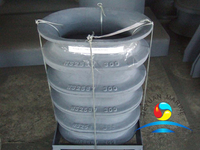 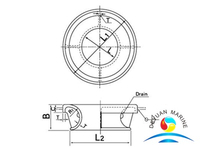 Double Bulwark mounted Chocks was designed according to the DIN 81915 standard and are approved by various classification societies like ABS,DNV,BV,LR,RINA etc. 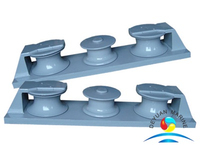 It is directly welded into the bulwark.Except marine bulwark mounted chocks,we also have deck mounted chocks.Pls contact our sales team to get more details if you are interested.